Need flyers printing online and on the fly? Stop and scroll, this is the page for you. 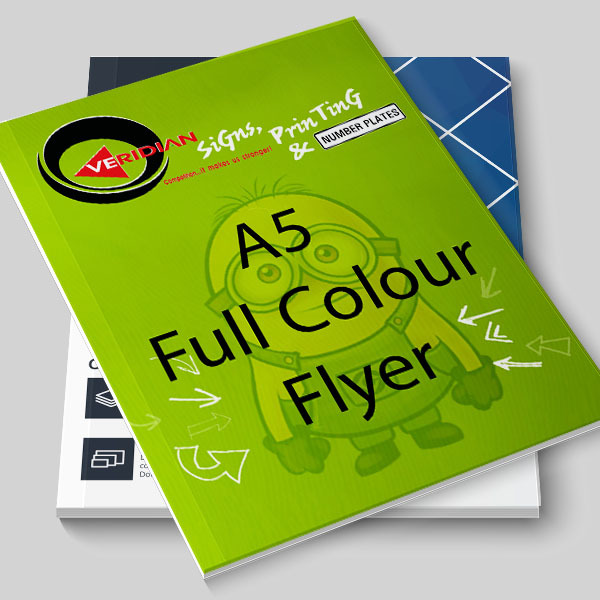 Veridian is the place to be for flyer and leaflet printing services in Pretoria, Johannesburg, Brits and all over South Africa. We offer colour flyer printing and these can be folded, and printed on one side, or both. All our promotional flyers and leaflets are available in, A4, A5 and A6. They’re a quick, easy and affordable way of getting your brand noticed. We have an amazing selection of paper stock from standard, to luxury to eco-friendly, and we are more than happy to give you our expert opinion on what is best for your brand and your message. We are a one-stop-shop for flyer printing online and can deliver straight to your door.